The heavyweight action will spill over into the Octagon tomorrow morning (Sat., Nov. 24, 2018) at UFC Fight Night 141 live on Fight Pass from inside Cadillac Arena in Beijing, China, as Curtis Blaydes meets Francis Ngannou in the main event and Alistair Overeem welcomes Sergey Pavlovich to the Octagon in the co-main event. With four heavyweight knockout artists leading the way, UFC Beijing should deliver on arrival. And considering fight fans here in the United States will have to wake up bright and early to catch the main card action, at least they can expect some highlight reel finishes. In case you’re unaware of what these heavyweight contenders are capable of doing, UFC has released some of the best finishes between the bunch. 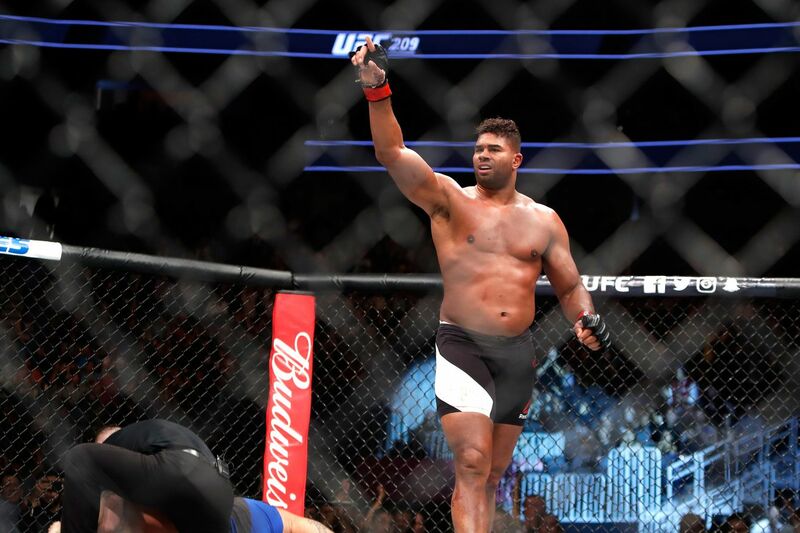 In the above video, Overeem can be seen landing a vicious knockout finish over veteran Mark Hunt at UFC 209 last year. The below video, on the other hand, features Ngannou’s uppercut finish against Luis Henrique in his UFC debut three years ago. Need more things to be thankful about? If these videos don’t make you a believer then maybe the statistics will. Blaydes, who will try to win his fourth-straight fight in the UFC’s heavyweight division, has finished eight out of 10 career wins by way of knockout or TKO. Ngannou, who is trying to end a two-fight losing streak, has finished seven out of 11 career wins by knockout or TKO. Overeem, who is looking to avoid just his second career three-fight losing streak, has 21 total knockouts through 43 professional victories. Pavlovich, who will be making his UFC debut, has scored nine knockout finishes through just 12 career wins. Those are pretty wild numbers, which leads us to believe neither UFC Beijing’s main event or co-main event will go the distance. Of course, anything is possible. But if history tells us anything it’s that these four heavyweights will do everything in their power to finish their respective fights this weekend in China. MMAmania.com will deliver LIVE round-by-round, blow-by-blow coverage of the entire UFC Fight Night 141 fight card below, starting with the Fight Pass “Prelims” undercard bout at 3 a.m. ET, followed by the main card start time at 6:30 a.m. ET, also on Fight Pass. Ultimate Fighting Championship middleweight Paulo Henrique Costa is fast becoming of the most feared 185-pound fighters in the division.